A half hourly bus runs from directly outside to and from the famous 'Lobster Pots' lift in Peisey. We also offer a minibus shuttle (8-10 mins) direct to the slopes in Vallandry between 08.30 and 09.30, with collection after 16.30 from the piste side bar. 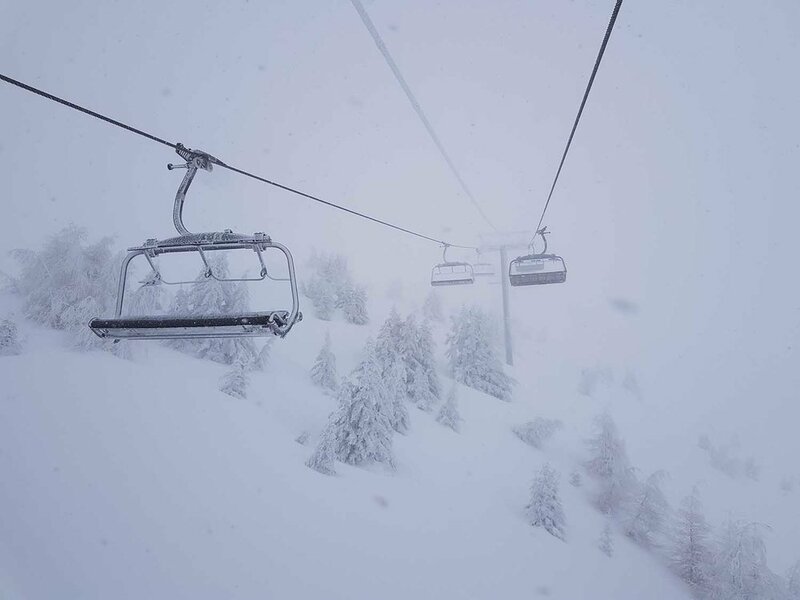 From the pistes of Vallandry you can gain access to the large resorts of Les Arcs and La Plagne and their 425 kms of piste. The off piste skiing is equally phenomenal and enables good skiers to slide right back to the doorstep from both sides of the Paradiski area. Peisey Vallandry resort is made up of a collection of small quaint villages nestled in a pretty valley between Les Arcs and La Plagne – a perfect location to base yourself for exploring the huge Paradiski. Upspoilt by over development often found in many French resorts, the cows still live in the barns during winter and are set to pasture in the summer to create the fantastic local Beaufort cheese. Purchasing a 6 or 7 day Les Arcs liftpass allows access to La Plagne for one day of the week (all week access passses also available), and a free half day of skiing on your day of arrival.